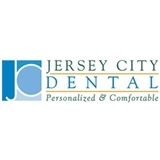 Jersey City Dental (Jersey City) - Book Appointment Online! Best dental service in jersey city. Courteous, patient and genuinely caring. Everyone from the receptionist to the person treating me (Kristen sp?) were all very professional. Looking forward to coming back.